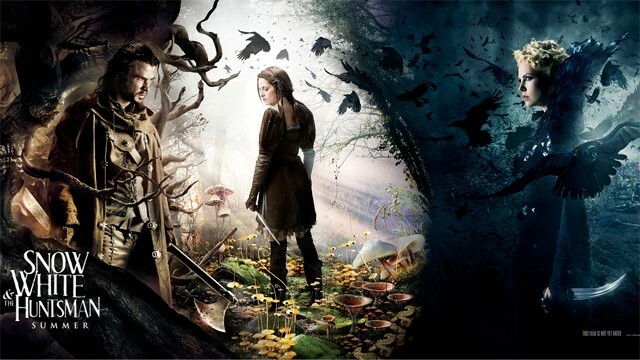 New “Snow White and the Huntsman” TV Spot Debuts. | The Cineaste's Lament. ← Weekend Box Office: “Hunger Games” Scarfs Up $155 Million On Opening. New “Snow White and the Huntsman” TV Spot Debuts. Where Tarsem Singh’s “Mirror, Mirror,” plays the enduring fairy tale for laughs. there’s nothing remotely funny, it seems, about the swords-and-sorcery reimagining from director Rupert Sanders. Like the “Dark Shadows” trailer, the trailer for the new Kristen Stewart vehicle made its bow during last night’s “Mad Men” premiere, guaranteeing the maximum number of eyeballs and a raised eyebrow from my wife — always a good sign. Charlize Theron and Chris Hemsworth also star. This entry was posted in action, Fantasy, Film News, Trailer Trash and tagged Charlize Theron, Chris Hemsworth, Kristen Stewart, Snow White & The Huntsman new TV spot, Snow White and the Huntsman. Bookmark the permalink.